When it comes to finding foods to help you sleep on a long haul flight, nutritionist Anna Baker is the go-to expert. As an Australian living and working in the United States, Anna is familiar with the trials and tribulations of long-haul travel and understands how it can often take a toll on a person’s health. 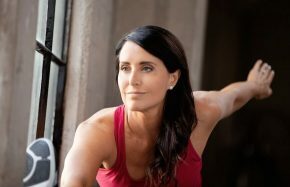 As an experienced nutritionist Anna also recognizes the need to take measures to protect her health when she jets at least 3-4 times per year between the USA and Australia. In order to sleep well en-route and combat jet-lag, she knows exactly which foods to bring. At home in Los Angeles and Anna has been reinventing the nutrition space. 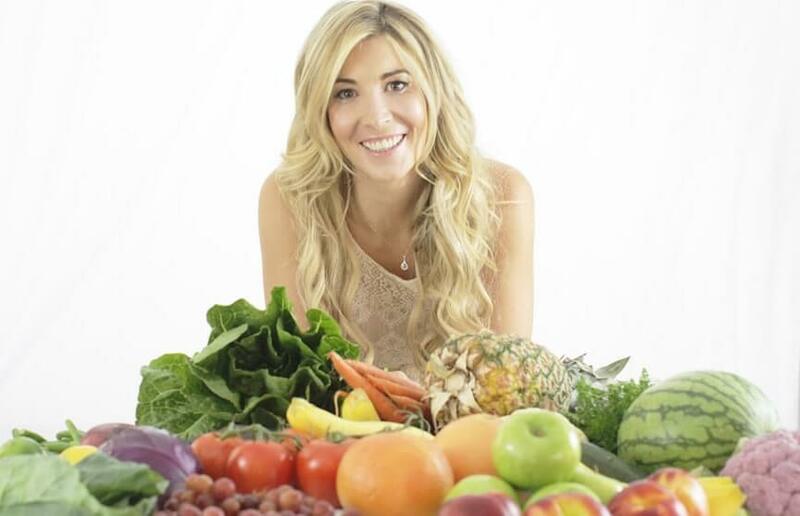 Her company, Nutrition Journey is considered to be one of the West Coast’s finest and offers a customized nutrition concierge service which affords her clients the choice of working with her online, or in-person. They also receive support 24/7 by text, phone or email. Overall, Anna’s business promotes a balanced way of living whereby clients receive meal plans, consultations and nutrient analysis. Anna what does the word, ‘Enrich’ mean to you? ? It means to improve or make better and for me, nutrition can be enriching and can enrich your life. From personal experiences, there’s such power and so many benefits in knowing what you’re putting into your body, why and the effects from what you eat. After years of illness and fatigue, I went to an “alternate” doctor in the hope of combating my daily “fatigue” after an emergency appendectomy. Seeing her, and following her extremely strict meal plan, I realized a deep passion and a new respect for nutrition. That the proper diet and key lifestyle changes can transform ones’ health, giving one a fresh and energized new outlook on life. I swapped universities and changed from studying business and law to nutrition. I have never looked back. What’s unique about your method? Nutrition Journey, was founded on the idea that we’re all unique and what foods are best for one isn’t the same as what’s best for others. 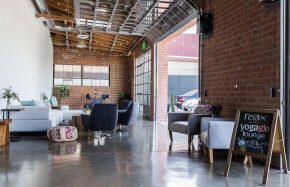 Secondly, especially in cities like Los Angeles, the amount of time it takes to get to an appointment can be longer than the appointment so I wanted to be able to offer tailored services that are accessible to everyone and from anywhere via the Internet. My nutrition programs are like a gym membership with a monthly fee, and are based around the key elements to effect healthy lifestyle changes; personalization, flexibility, support, education and evolution. Nutrition Journey aspects of focus are educating and a creating a healthy foundation. No matter what obstacles come your way you can maintain healthy eating habits. What food and lifestyle tips can your share with businesswomen who travel? Reduce your caloric intake by approximately 10 % during a flight. Eat light meals that are high in lean proteins. Eat easy-to-digest vegetables. At high altitudes, particularly whilst being in a sedentary position for an extended period, gas can build up in our digestive system to expand and cause bloating and an uncomfortable feeling. Drink plenty of water, herbal teas such as chamomile and mint tea. Dehydration can cause irritability, food cravings, muscle cramps, headaches and fatigue. It also has a link to Deep Vein Thrombosis. Consume gas producing foods such as carbonated beverages, beans and cruciferous vegetables (e.g. onion, cabbage, broccoli and cauliflower). Foods that are those high in sodium, fat and carbohydrates that have a high glycemic index. Spicy food is also something that should be avoided as it can also play with your digestive system. Alcohol and caffeine. Not only do alcohol and caffeine act as a diuretic, but they also can cause jet lag symptoms to worsen. Not only is it important to be conscious of what you eat on the flight but it’s just as important to consider what you eat the hours leading up to your flight. The wrong food choices before a flight can make you feel overly anxious, bloated and fatigued leading to an uncomfortable flight and harsher jet lag. As well as the snacks and drinks listed above, the best foods to have prior to a flight are things like fish, chicken, celery and pineapple. What about snacks on board? 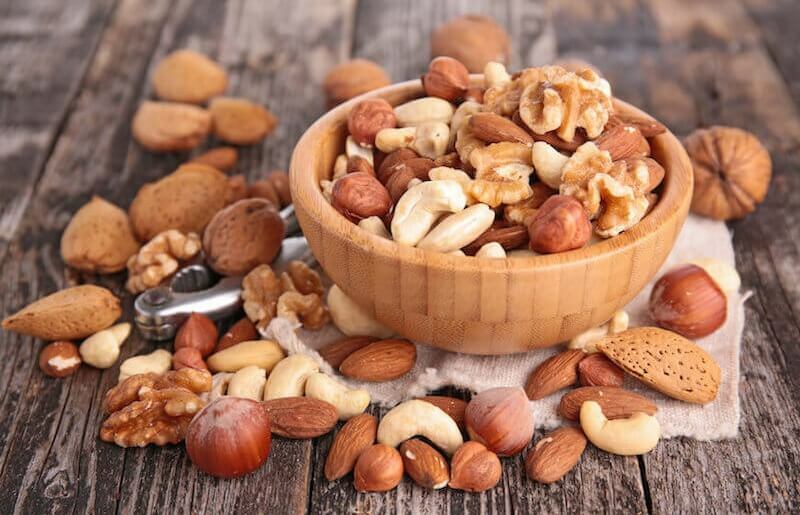 Unsalted nuts and seeds : Nuts such as walnuts and Brazil nuts are also a great source of magnesium which help with muscle relaxation. Homemade Granola : Take your own granola high in seeds, oats and nuts for a digestive system and jet lag friendly breakfast. Homemade kale chips : Vitamin K is good for healthy immune and digestive system. Antioxidants help to improve sleep, circulation and digestion. Peanut or Almond butter with wholegrain crackers : Having an almond based snack before sleeping can help improve the quality of sleep on the plan. Fruit that can be easily transportable such as bananas, berries and clementine. Homemade Trail Mix : Great source of protein with is lower in sodium than regular plan food. Vegetable sticks : Great source of vitamins, antioxidants, fiber and iron. Vegetables such as celery and cucumber are over 90% water so a great way to stay hydrated. What foods should businesswomen eat and what could they do on board to help them get to sleep? Magnesium found in cacao powder, Brazil nuts, pumpkin seeds, dark leafy greens. Melatonin, vitamin B6, vitamin C (reduces cortisol levels) and Tryptophan. Sleep-inducing snacks prior to sleep are banana, almonds or almond butter, yogurt, cherries, hummus or avocado. Avoid alcohol and caffeine and chose drinks that are more relaxing like chamomile or mint tea. Decaffeinated green tea is great also as it contains Theanine – an amino acid which promotes sleep. Do not overeat. It can interfere with your slumber. Drink plenty of water or hydrating fluids and minimizing diuretics not only will the trip be more pleasant and jet lag will be lessened. It will also help to reduce anxiety, hunger, headaches and cramps; all things that can stand between you and a restful sleep on the plane. What are your tips for traveling healthily and happily? My current obsession in the nutrition world is learning about Nutrigenomics. This involves learning as much as possible about how your genes dictate how and what nutrients are best for your body. I think it’s so important that people realize the reason a diet, or meal plan, which works for their friend doesn’t work for them isn’t because there is something about them, it is because their genetic makeup and previous eating habits impact on what works or doesn’t work. There’s a way for almost everyone to reach their health and wellness goals; they just have to find the right combination. What new types of foods should we be consuming? Homemade Vegetable Chips: Kale, carrot, sweet potato, beetroot. Homemade Raw Vegan Protein Balls: These are easy to make, a great on-the-go snack, high in protein and being raw an easily digestible snack. Health Tonics/Elixirs: I make different elixirs most weeks. It’s fun to see what the current trends are in store and test out different recipes such as turmeric, charcoal and other health and immune boosting ingredients. How do you define a healthy diet and lifestyle? A healthy diet and lifestyle is all about using food to provide your body with the nutrients and energy it needs to make the most out of every day, both physically and emotionally. I don’t believe, unless you have an allergy or intolerance, that you have to give up any of your favorite foods. It’s all about finding the healthiest alternative and developing a positive relationship with food. Through Nutrition Journey or email me directly at anna@nutritionjourney.com.